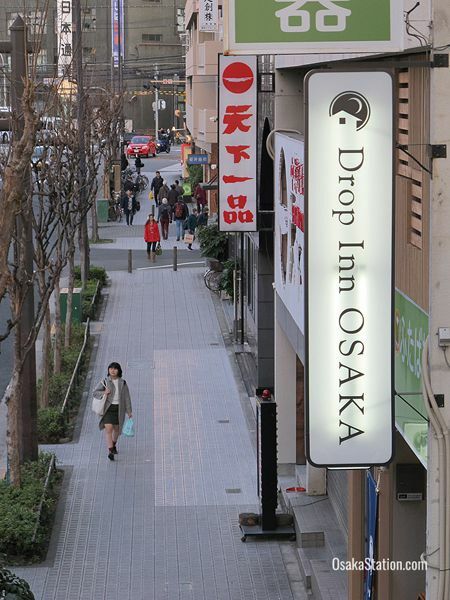 Drop Inn Osaka is a clean, modern, and comfortable budget guest house just 7 minutes’ walk from Osaka Station. 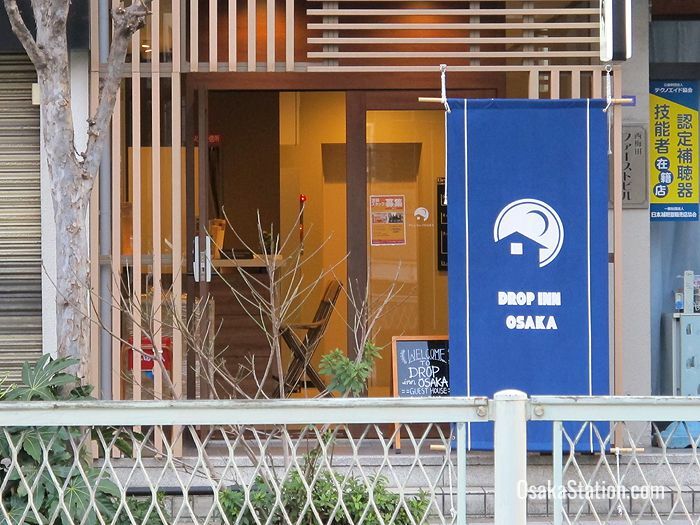 This is one of the biggest hostels in Osaka with 5 floors and space for up to 90 guests. It also has a great reputation for its friendly staff and reasonable prices. Drop Inn has a good range of mixed dormitories, ladies dormitories, family rooms and private rooms. All rooms have air conditioning. 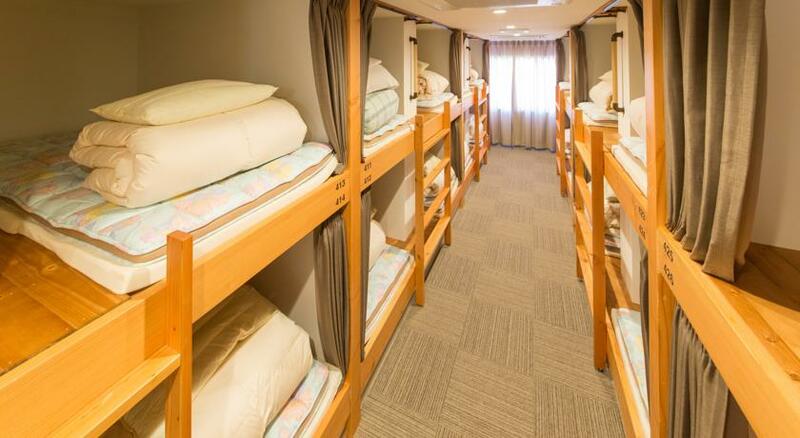 In the 30 bed dormitories guests each receive their own bunk bed and bedding, and have their own electricity sockets, reading lamp, lockable shelf, and privacy curtain. 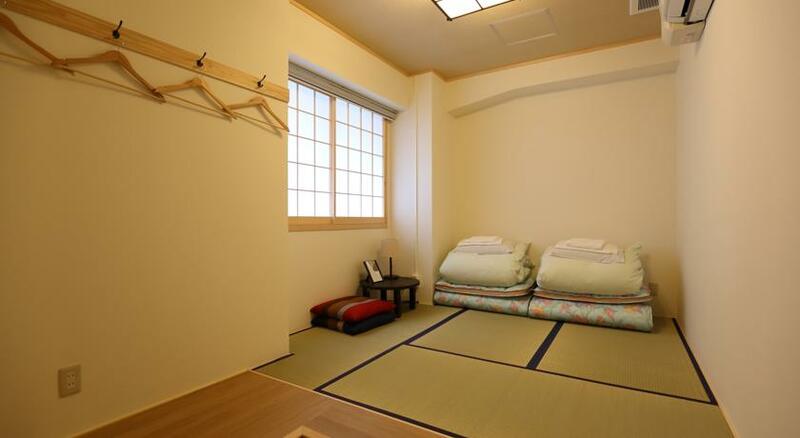 In the smaller private and family rooms guests sleep on futons laid out on the tatami floor. Children under 16 are not allowed to stay in the dormitories and must stay with an adult in one of the private rooms. Showers and rest rooms are shared with other guests but are separated by gender. Bathing amenities such as shampoo, soap, and towels are free. Bath mats and hair dryers are also freely available. The hostel has a large common lounge area on the 3rd floor with both a Western style section and a Japanese style tatami floored section. This contains a small library, a TV, and a computer and printer that can be used by all the guests. This lounge area is designed to encourage interaction between the guests who come here from all corners of the world. 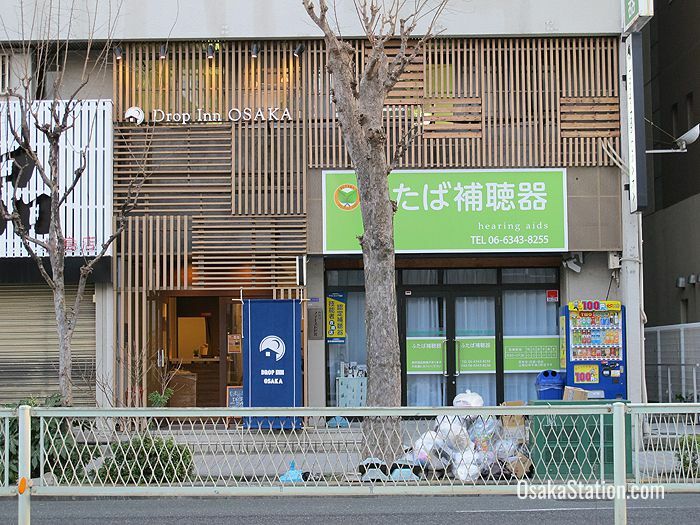 To further this aim the hostel holds cultural events here every week, such as sake tasting parties, or cooking parties in which the guests and staff get together to make and eat Osaka’s famous takoyaki octopus dumplings or okonomiyaki pancakes. There is a drinks vending machine supplied with soft drink and alcoholic beverages in the common area, and free tea and coffee are also supplied. There is also a large common use kitchen on the 3rd floor stocked with a refrigerator, toaster, and microwave oven. The Drop Inn recently added a mini-shop to the 3rd floor with snacks, soft drinks, cup noodles, and alcoholic beverages all on sale for 150 yen. Simple breakfast foods such as bread and pastries can also be bought here for just 100 yen. If you are still hungry then there is a ramen restaurant on the 1st floor. The staff at Drop Inn speak several languages and are happy to help guests with enquiries about traveling in the local area or throughout Japan. Tourist information, maps, and brochures are available in the lobby. There is a self-service laundry area with coin operated washing machines and dryers. The washing machines cost 200 yen for a single cycle with detergent included. The dryers cost 100 yen for a 30 minute spin. The Drop Inn will store your luggage for free on the day you check in and until 4pm on the day you check out. 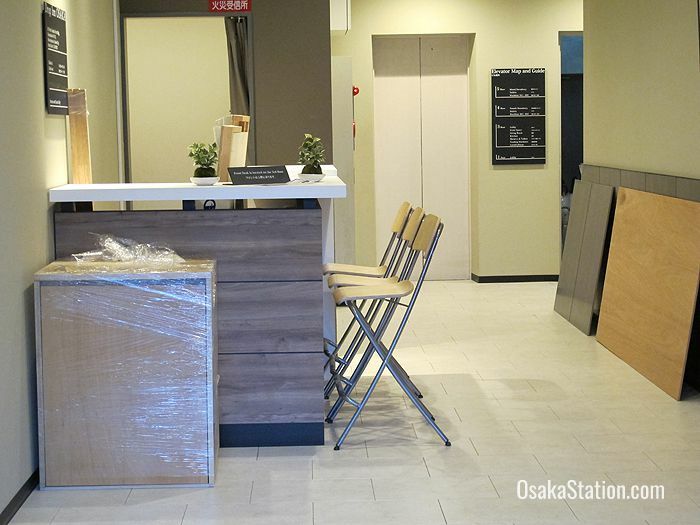 However, as the hostel has limited storage facilities, they recommend using the facilities in Osaka Station after you check out. Fortunately, there are plenty of cheap lockers and excellent luggage storage facilities in the nearby station.